Enjoy maximum protection for your home without compromising your home’s aesthetics! BP shingles have all the features to make sure that your home has strong but elegant-looking roofing, too! This full-sized fiberglass laminate shingle provides twice the thickness area compared to standard shingles. It ensures optimum performance even in the harshest weather conditions with its Weather-TiteTM technology that is exclusive to BP. It also lends a sculpted slate look. You have seven rustic colours to choose from, too. This 42-inch laminate asphalt shingle features bigger tabs, as well as dramatic-looking 3D shadow bands and dried colouring for that truly dynamic and standout style. You have an array of random contrast colours to choose from to frame your home with exceptional elegance. This shingle can surely turn heads. This affordable yet uniquely-designed oversized shingle offers a sharp slate look with three-dimensional shadow bands and a variety of vintage hues to choose from. With Mystique 42, you can improve your home’s aesthetics and of course, its resale value. Even the toughest weather conditions are no match for the strength and durability of the 3-tab Yukon SB heavyweight fiberglass shingle. Its innovative shadow band lends a one-of-a-kind chiselled style that would surely complement your home’s architectural features. You can choose from our palette of 12 luxurious colours. 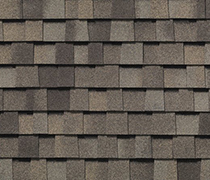 Yukon SB can also be used as Hip & Ridge for the Everest and Manoir shingles. Enhance the natural beauty of your home with this classic 3-tab shingle. Its impressive performance rating is your assurance that you’ll enjoy years and years of peace of mind with the level of reliability and durability that it offers. It comes in 15 elegant shades that feature a subtle tone drift for a completely dynamic appeal to match different styles of homes, too. Dakota also serves as a Hip & Ridge for Mystique shingles.